I enjoyed this fast-paced story and made an immediate emotional connection to Bria and her Autistic brother Dylan who are dealing with the loss of their mother. Bria doesn’t believe her mother is dead. Acting on her gut feeling, Bria enlists friends from her science club to help her figure out what went wrong with the lab test that disintegrated their mother’s building. Recreating the experiment blows a hole in the basement wall and in comes the loveable, doglike Sniffer. The adventurous teens go through the hole and risk all to help Bria find answers. Lakin did an amazing job capturing the chaotic mind of teens trying to solve problems while sorting through feelings and logical facts. Lakin allows Bria to be a scientific, practical-minded girl who also has the real emotions and hormones of a teenager. The romantic element is a plus in my opinion and balances the heavily detailed physics. 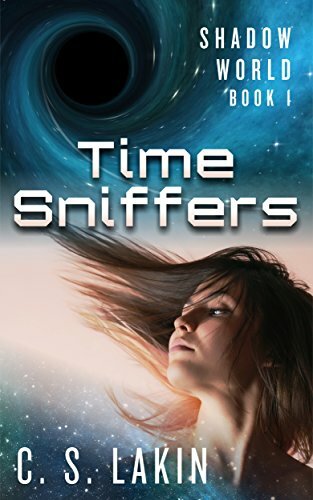 I’m please to recommend Time Sniffers (Shadow World Book 1), and believe teens will enjoy this novel. There were a few errors in the free version I read, but the well-developed story and wonderful character development have garnered my 5-star rating.